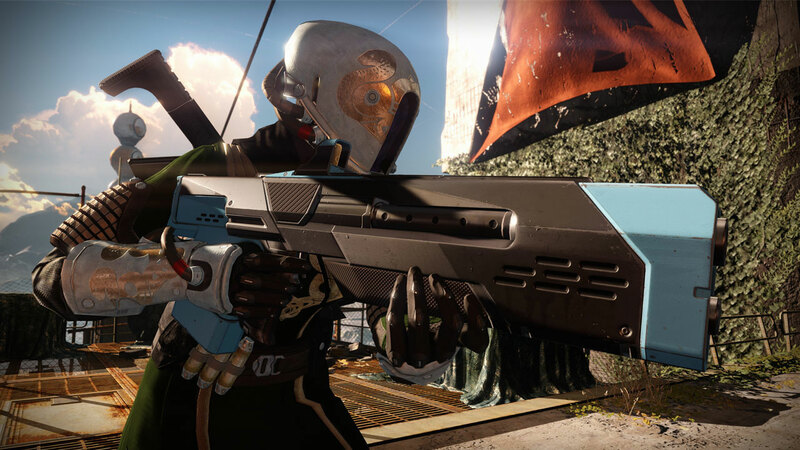 How does Destiny’s latest gear handle? It’s a mixture of new and old, says Patrick Garratt. I found myself sticking to the Omolon scout rifle and Häkke shotgun. It seemed like a solid combination. If things got too busy up close with the primary, I could drop to the shotgun and clear the immediate area with ease thanks to the almost complete absence of recoil. Guns. Destiny is about them. I got to try some of the new weapons from Bungie’s next expansion, The Taken King, in Cologne earlier this month. Good news: they’re different enough to be interesting, a relief after House of Wolves’ dubious arsenal. I played the first story level, or at least the first part of it, which is set on Phobos. The demo was brief, and it was the same code shown at E3, but I did get a look at examples of weapons built by all three of the update’s manufacturers. The Taken King’s guns are made by three “foundries”: the brand new Häkke and Omolon, as well as Suros, a brand familiar to every Destiny player thanks to Suros Regime, the fabled exotic auto-rifle. The Häkke weapon I got to try was a shotgun called Jigukodo-D. Häkke gear is functional, reliable and unapologetic, according to Bungie, and this new take on the Destiny’s most brutal close-range gun class fits its bill exactly. It has maximum stability (is there a shotgun in the game right now that can say the same? ), average rate of fire and slow reload, so you’re banking on putting its meagre three-round clip into an enemy’s soft spot before retreating. Design-wise it was fairly bland, but then it’s supposed to be. Of the new weapons I tried this one suited me best. You stand in front of the enemy and kill it. The Jigukodo-D performs as advertised. My Omolon try-out was a purple scout rifle called Tuonela SR4. The Omolon tag is “the future is what we make it,” and its weapons are both experimental and temperamental. From a quick look, it seems as though this foundry’s going to be a bunch of fun. The Tuonela SR4 packed a perk called Surrounded by Wolves, which grants bonus damage when you’re encircled by three or more enemies. This encourages you to carry the gun into thick battle, forcing you out of the traditional scout rifle comfort zone of hanging back at mid-range. Complimenting Surrounded by Wolves was a second buff called Life Support. Again, this encourages recklessness: “kills with the weapon while bloodied have the chance to start health recharge”. It was genuinely refreshing to be rewarded for taking what is essentially an inappropriate weapon into the centre of a group of enemies and using it from the hip. I can’t wait to take a look at the other Omolon guns. Oddly, I was most indifferent to the Suros weapons I tried in Germany. I got to briefly use a pulse rifle called PDX-41 and a rocket launcher I’m afraid I didn’t note the name of, but there didn’t seem much to distinguish them other than the sci-fi design everyone loves from the Regime. But, as I said, my time with these guns was extremely short. I ran through the demo twice, but found myself sticking to the Omolon scout rifle and Häkke shotgun. It seemed like a solid combination. If things got too busy up close with the primary, I could drop to the shotgun and clear the immediate area with ease thanks to the almost complete absence of recoil. A few other notes. The “I” and “II” markers on the current weapons, which denote the expansion in which they first appeared, don’t continue with the new set. 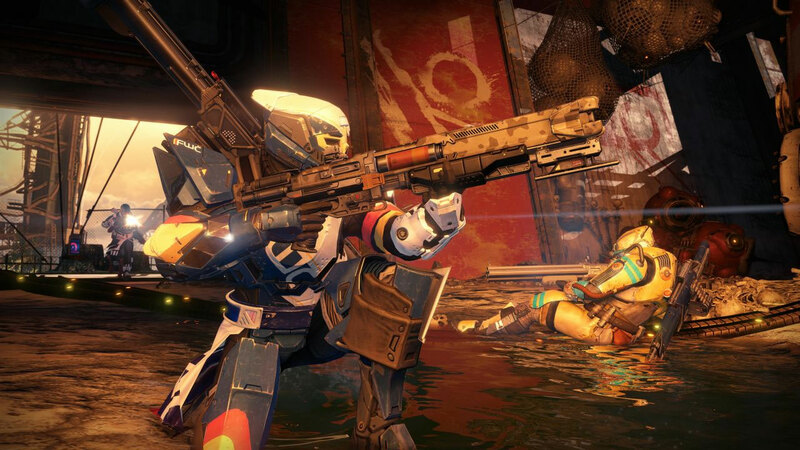 Instead, the Taken King guns carry the pack’s logo in the top right of their square emblem. Also, the weapons I saw didn’t have the re-roll option included on many of the House of Wolves legendaries, a choice most players will probably welcome. The re-rolling on the current purples looked good on paper, but, in reality, it means a slew of Destiny’s latest weapons aren’t unique beyond visual design. Poor show. That’s all about to change. Again. You’ll be able to try out the new gear for yourself next month. The Taken King, Destiny’s next expansion, releases on September 15.